Woo-hoo! I am finally on Spring Break! I am exhausted and need this break to rest and relax! Before I do, check out my week: the bad and the good. Multiplication Website - We have been working on our multiplication facts. I showed them multiplication.com. My plan was to show them, try it, but have them practice at home. They, however, became obsessed with the games! This became my go to activity for when I needed a few minutes of quiet. This site was a life saver this week! Side note: This was mentioned by almost all the parents at conferences as their children have been talking/playing it at home. 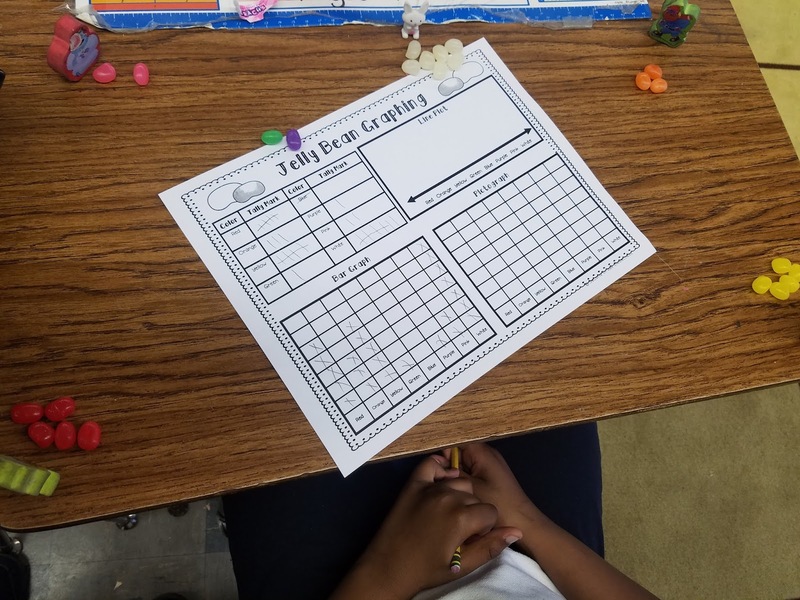 Jelly Bean Graphing - I usually graph jelly beans every year. This year I almost forgot about it. If I hadn't seen the jelly beans at the store last weekend, it would have been missed altogether. I love graphing with them. This year we talked about different ways of showing the data we collected. 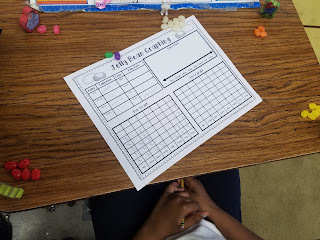 My students enjoyed this...especially eating the jelly beans! 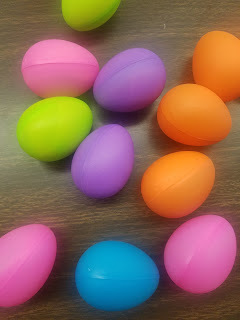 Easter Egg Hunt - I put math questions and hid them around the classroom. I made some really obvious while others much harder. Since another teacher on my team had done this earlier in the day and told us some of the behavior issues, I decided to take my time in showing off the rules. I modeled how they had to walk around the room, bring the egg to their seat, open it up, answer the question, and return the egg. This time spent demonstrating what to do allowed the activity to last 45 relatively peaceful minutes. Parent Teacher Conferences - I had the highest turnout ever with only 4 parents not coming. The conferences were very smooth. 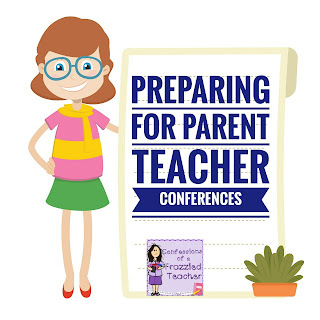 If you want to see how I prep for conferences check out my blog post by clicking the pic below.